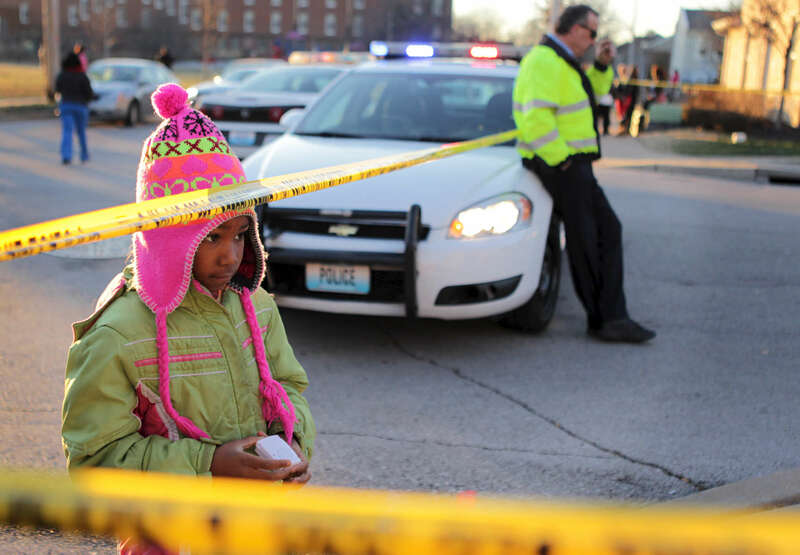 Destiny Mims, 6, watches as police work the scene of a fatal shooting on North 8th Street in St. Louis on Wednesday, Jan. 13, 2016. Mims ,who lives a block away from where the shooting happened, was walking home from school with her mother and brother when they stopped to view the scene. As police were investigating the shooting on North 8th Street more gun shots were heard in the distance, to the east near Interstate 70.